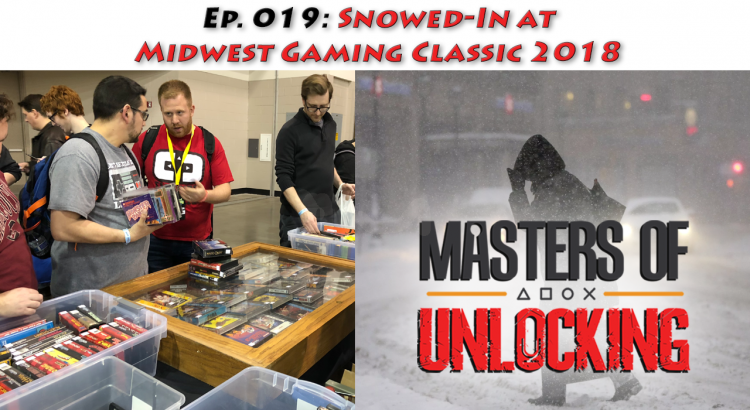 Last weekend, Milwaukee Wisconsin played host to the annual Midwest Gaming Classic… and the worst April Blizzard in history. We discuss the convention, it’s panels, personalities, vendors, and more. Sony Playstation 5 rumors run rampant, what do we think? The closing of Toys R Us prompts a return of KayBee Toys? VGCollectaholic went back to his home state of Wisconsin for the Midwest Gaming Classic – his first ever video game con. We discuss the trip, the panels, the personalities, the vendor floor, the snow, and more.